When Hillary Clinton collapsed outside a 9/11 memorial service on Sunday, questions on the seriousness of her health moved front and centre. 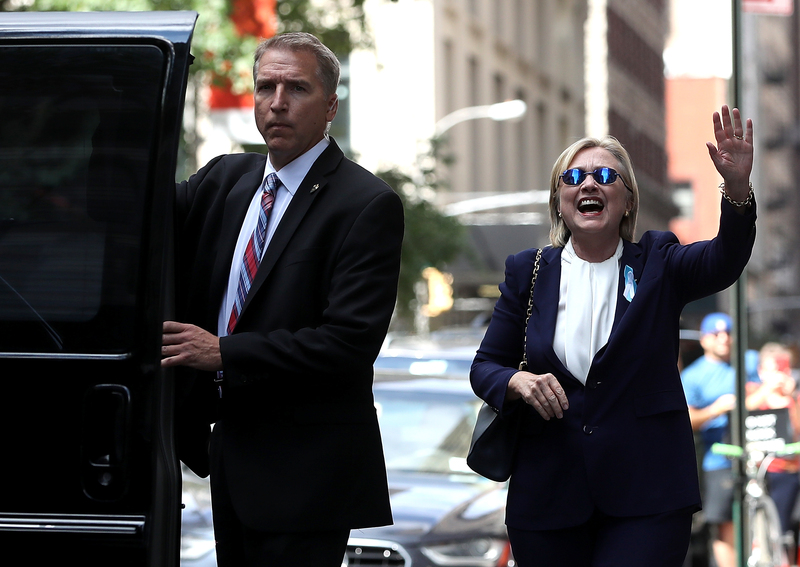 Doctors have since said Clinton is suffering from ‘walking pneumonia’ brought on by seasonal allergies, but despite appearing alive and well, conspiracy theorists believe that the Democrat presidential nominee is suffering from an illness much more serious and has subsequently been replaced by a body double. Trump fans, and anyone else who loves conspiracies, began to tweet about the theory using the hashtag #HillarysBodyDouble. And it’s all apparently to throw everyone off because Hillary either has Parkinson’s or is dead or dying. But all of this pales in comparison to the conspiracy theory that the Democrat presidential nominee is actually a robot.